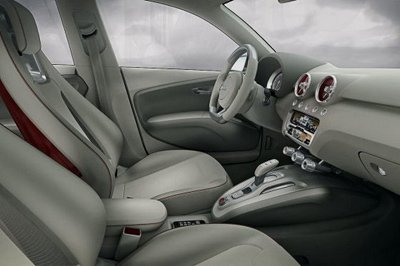 the 2008 Paris Motor Show. 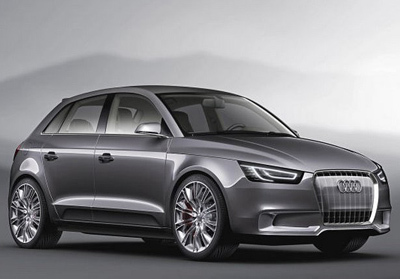 The concept is a 5 door version of the Audi A1 Metroproject Quattro concept, and a further sign that an all new compact car is on the way from Audi. 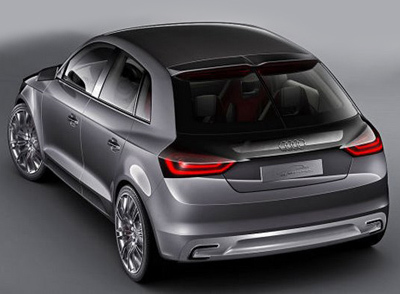 The styling of the A1 Sportback concept is reasonably close to production feasible. 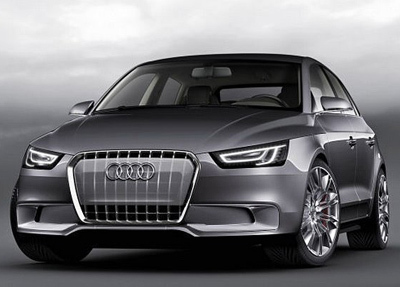 Not counting the stylish LED headlights and bizarre semi-opaque grille insert, the Audi A1 Sportback could quite easily melt into traffic in any city in the world.